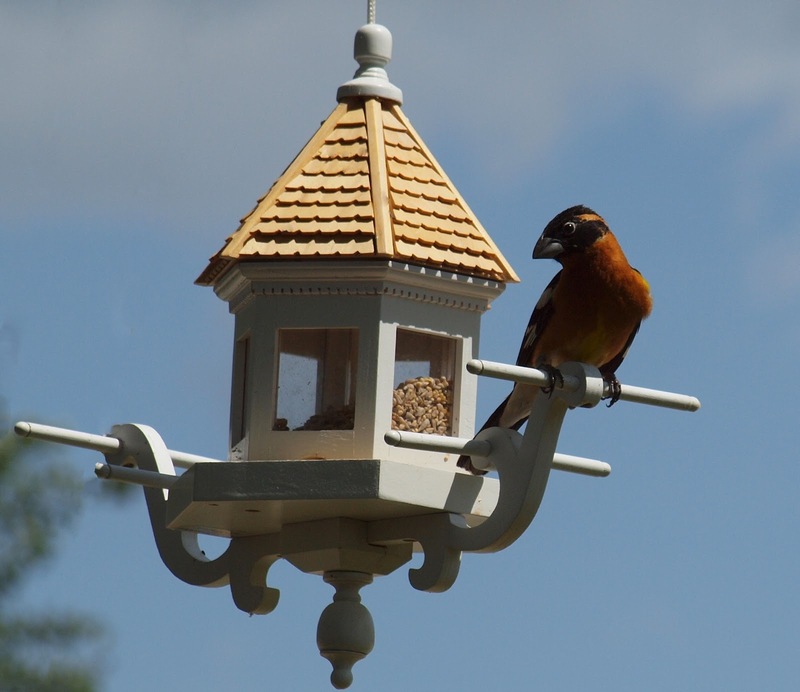 The good folks at Yard Envy asked me to try out their Wingdale Hanging Bird Feeder and to share with you my experience. It's on sale now, so check it out! First of all, its a a beautiful bird feeder. I love the design, especially the shingled roof. I'm sure my neighbors are also pleased to see something a little more aesthetic. 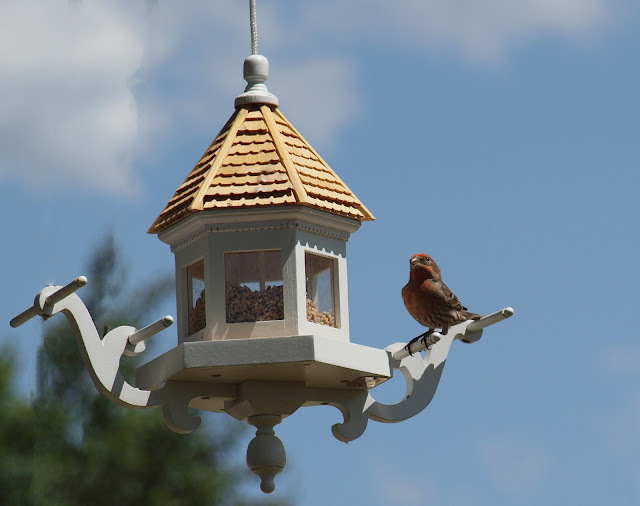 The Wingdale feeder is simple to assemble and easy to refill as the roof slides up the cord and reconnects on two small wooden dowels. I've had the feeder up now for over a month. It did take a couple weeks for the birds to "find" it...or rather get used to it. Lesser Goldfinch and House Finches are now its most regular customers. House Sparrows occasionally pop in. 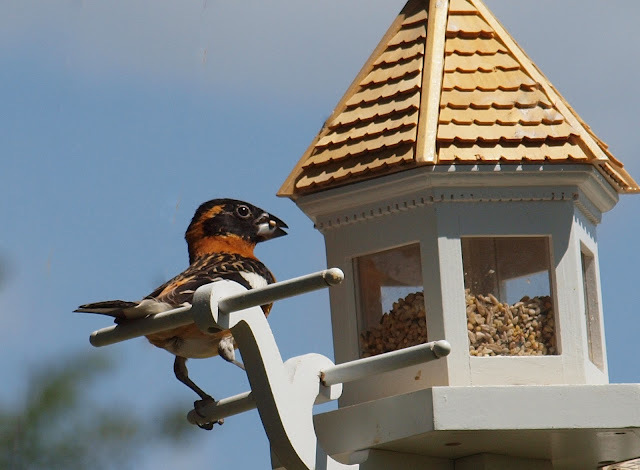 I was delighted this last Sunday afternoon to be sitting in the shade of my backyard trees when a couple of Black-headed Grosbeaks showed preference for the Wingdale feeder and posed for some photos. I'm already looking forward to photography Lazuli Buntings at this feeder. They should show up any day now! Beautiful feeder ... beautiful birds. I have never seen the black headed grossbeak ... they are amazing. You are lucky to be able to try out such an attractive feeder. Enjoyed the post. Very pretty feeder and the bird loos unique. Que chulería, que comedero mas bonito, me gusta la idea, preciosas fotos.